This application includes some quick references I tend to need while working in my university's cleanroom. 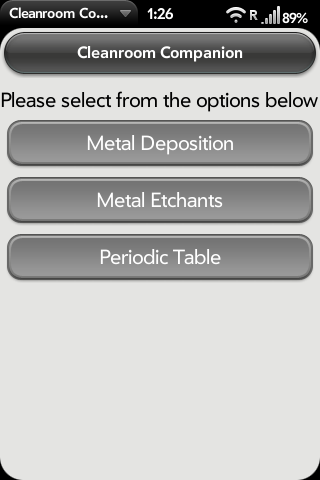 Current references include parameters needed when depositing materials in e-beam deposition, acid etchants of some materials, and a small periodic table. I will be adding more in the future, suggestions are welcomed.